Banking is changing around the world with customers demanding more from their banks and banks in turn looking at ways to improve customer satisfaction at the same time reducing overhead whilst meeting customers need and expectation . Many of our Acquiring bank clients have been able to win accounts of big merchants as a result of our custom electronic payment solutions that met the merchant’s specific needs. We have developed a bespoke solution that allows vending of PHCN STS meter tokens, PHCN Unistar smartcard meters and PHCN Postpaid meters from a single POS device. The solution is developed on the Evolution platform, accepts all Payment cards and connects directly to NIBSS. It can be optionally configured to cater for cash payments. This a fleet sales POS application, which integrates vehicle identifications and confirmation before sale of fuel. We also have special customized applications for Schools, Churches, Food and beverage companies, Breweries etc to cater for such merchants. This is for companies that make use of the POS with limited online connectivity. A client needed an application to manage parking tariffs, issue tickets and also reconcile on a daily basis in order to block all leakages. Evolution offline was able to cater for these needs and it also makes the user experience very seamless as the solution is never affected by network outage. The application currently does over 10,000 transactions per day. This is developed with the POS serving as the lotto frontend accepting play numbers from players, processing card payments for each bet, draw check and win numbers check. The application may also be used at bank branches to validate payouts. The player makes payment via the POS using Visa/Mastercard/verve issued card in order to play. At the end of each game draw, the game closes and new game plays will not be accepted by the service. Winning numbers are announced. This is a solution customized to meet the needs of Forecourts in dispensing and capturing payments for various products. The solution also helps the merchants to reconcile their accounts by printing out the various products type, Product Code and station code as well as corresponding payments. To demystify the complexity of EMV transactions acceptance and also to give customers and system integrators greater level of flexibility, we have upgraded our application and also designed a PIN PAD solution that can integrate seamlessly with 3rd party solution. Merchants can use their existing POS running the evolution application to integrate card acceptance with their cash register created by a 3rd party without replacing their existing system. Also a PC based kiosk can also integrate with this for EMV card acceptance. Details of how this work is available with live solution at merchant outlets. 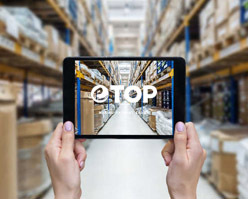 ETOP is introducing the next generation AFC system; an AFC system based on the use of a vehicle computer together with off-the-shelf equipment like touch LCD and receipt printer. Until now, there have been separate systems and equipment for the AFC and RTI in the vehicle. With the introduction of the new ETOP vehicle system, there is no longer need of separate systems, both AFC and RTI functionality can be handled by the same vehicle computer. Electronic ticketing can be regarded as a payment system which enables a person to pay in a simple, secure and efficient way for a service used. 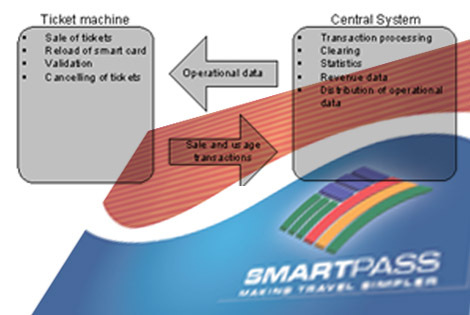 Electronic ticketing is associated with travel and specifically with the use of a transportation service. The payment system is based on electronic information transferred between the various operators in the system. ETOPNG offers a choice of top up technology at point of sale, from dedicated terminals to EPOS integration and customer-operated kiosks. The ETOPNG pre-paid system is a total end to end prepay solution that eliminates use of expensive scratch cards. 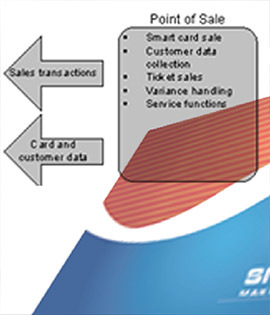 With an Electronic point of sale and Electronic funds transfer point of sale (EFT POS) solution. The platform comprises of a centralized host, terminal software, and a web based configuration application. Online requests from dial-in-terminals and other sales devices are forwarded to the selected operators and the requested airtime is credited via the mobile operator's GSM network. 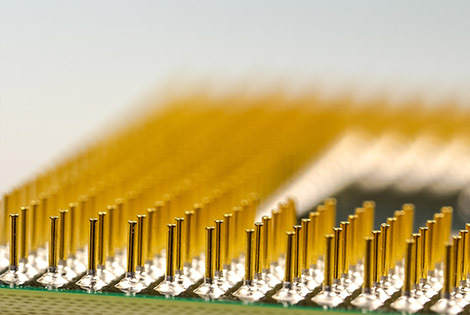 Off-line requests are performed using the PIN activation codes stored on the terminal. The terminal software prints out a customer receipt, which includes the PIN and activation instructions. ETOPNG prepay solutions are completely encrypted system from all its communication processes down to the storage of pins in the database. The products stored on the host are encrypted activation codes, which are decrypted when it gets to the terminal. E-Top Up is the new electronic way to refill prepaid mobile phones airtime. E-Top Up allows retailers and agent to top up pre-paid mobile phones online instantaneously and without the risk of accumulating stocks associated with scratch cards. This is either via printed voucher (e-voucher) or online credit (e-top up). The system was developed in response to massive rise in pre pay subscriber around the world. In the United Kingdom alone, more than 60% of mobile subscribers are pre-paid and in Nigeria 80% of the mobile subscribers are prepaid or on pay as you go. Our highly secure RFID transaction platform is at the forefront of driving customer experience and transactions within Sports & Entertainment venues, and the Education, Retail and Aviation markets. ETOP applications manage ticketing, access, payment, loyalty and the running of campaigns and promotions. Designed for clients that are focused on improving customer service and providing a unique experience, ETOP Smart Stadium contactless solutions help clients identify, better understand and interact with their customers and ultimately transact with them more effectively Today, ETOP with her partners are seen as a world leader in its industry and has: Over 5.5 million smartcards circulating worldwide today with Implemented solutions in over 40 stadiums and venues in over 8 countries. A system focused upon improving customer service and providing a unique experience for all stadium users, whilst maximizing Club revenues, and maintaining a strong emphasis on "...simple to use, simple to operate..."
A system that utilizes market standard network and infrastructure equipment. A system that eradicates fraudulent entries to the Stadium by creating unforgettable tickets using RFID smartcard and barcode technology, reducing or eliminating touting. A system that delivers fast stadium access, with flow rates of over 20 persons per turnstile per minute. 1200 people per hour per turnstile. A system that provides "Up-to-the second" match entry information delivered directly to the Control Room, allowing the club to closely monitor fan entry process. eTOP also captures the entrance information to create match reports used for sales, marketing and planning purposes. Integrated Hand Held Units Solution for Access and Steward Support Huge potential for rapid expansion since the system offers a multi-application platform that has an infrastructure preloaded onto every card facilitating the introduction of Membership, Loyalty, CRM, and Contactless Payments for fast payments at concessions inside the stadium, VISA & MASTERCARD functionality for payments outside the stadium, and loyalty programmers' integrating to third party loyalty schemes. Additional applications, such as the Staff and Steward Monitoring System, create a time attendance-reporting package to track match day staff. There is also an integrated Parking solution. Smart Stadium's access solution is based upon a proven architecture and tested in over 2500 games worldwide. 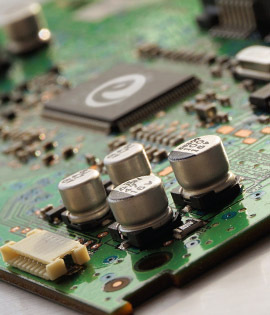 The system is designed with multiple layers of system failover and continues to operate even in environments where both power and network have been lost.